This isn’t exactly “Ripley’s Believe It or Not” stuff, but nonetheless some might be surprised (or even a little shocked) to learn that a pillow can cause acne. Yup, that’s right. Dirty, unchanged pillowcases can trigger breakouts, and so can pillows and pillowcases made of non-hypoallergenic materials. All natural ingredients like bamboo, tea tree oil, and more. Provides an aromatherapy style of sleep. There is a type of acne called acne mechanica that occurs because of contact with materials and objects. Dirty, unwashed pillowcases cause this acne. Usually the many different types of pillows themselves aren't the culprit and it's the actual pillowcase that's the problem. Dirt and oil passes from your skin and hair and get stored in your pillowcase. When it is not washed or changed regularly, the stored up dirt and oil is transferred back to your skin, clogging the pores and causing blemishes. When the news about pillowcases can contribute to acne first broke out, many thought only satin pillowcases are the culprit—but it is not so. According to Dr. Bank, director and founder of The Centre of Dermatology, Cosmetic & Laser Surgery, the determining factor is not the material of the pillowcase but what is lurking inside it. Irrespective of the material of your pillowcase, if you don’t change it regularly, it can have more dirt, grime, and sweat, and this build-up, in turn, can trigger acne. You might clean and replace your pillowcase often but would still be at a high risk to acne if harmful chemicals were used in its production. The same holds true for pillows. Certain pillows come with a seal of approval from a reputable regulatory body, for instance some memory foam pillows carry a CertiPur-US mark. Such approval seals guarantee that no toxic and unapproved chemicals were used during the production of the pillow. Those with a sensitive skin are recommended to invest in such pillows. Of course, they cost a few dollars more, but that’s not too big a price to pay for a cleaner, healthier face. Usually pillowcases do not carry any approval seal. Opt for a pillowcase made of 100% natural or organic material. Don’t think because you wake up with acne marks, your partner will too. Some have more sensitive skin than others. Whatever the reasons behind frequent breakouts (increased stress, bad genes, or fluctuating hormonal production), pillowcases can cause micro-irritation and exacerbate the situation. That’s why you must wash and change your pillowcase every few days, even if your partner doesn’t. Wash your face before going to bed. It’s obvious, yet many don’t practice it. Cleaning your face every night will help prevent grime, dirt, or makeup from getting onto your pillow and mattress. Consult a dermatologist in regard to the best cleaning treatment for your skin. Opt for pillowcases made of natural fabrics. These materials breathe better than synthetic ones and so are likely to transfer less oil. Launder your pillowcases once every two to three days. Otherwise, you’d be sleeping on a pillowcase with a lot of dirt and oil on it and your risk to acne mechanica will be increased manifold. In addition to these preventive steps, changing certain habits (discussed next) also help reduce acne risk significantly. It kills, we knew. That it gives acne, however, is something new. According to researchers at the San Gallicano Dermatological Institute at Rome, incidences of non-inflammatory acne are higher in smokers than in those who don’t light up. They also found that smokers who experience breakouts in their teen years are about four times more likely to experience acne on reaching adulthood than non-smokers. If you smoke and are prone to acne, the writing is on the wall—quit smoking. Some fabrics, like lycra and polyester, can trap sweat and dead skin cells against your body and increase our chances of getting acne. Those who frequently experience breakouts are recommended to wear clothes with natural fibers (for example, bamboo and cotton) that are more breathable. Some people think that fatty and greasy foods can worsen acne, but this has not been proved. However, there is enough evidence to suggest a direct relation between low vitamin and mineral intake and acne. Enjoy the fast food that you love so much, but at the same time ensure you are taking enough vitamins and minerals daily, either through foods or supplements. This pillow has anti-microbial ionic silver woven into it. The positively charged silver ions effectively kill 99.9% of bacteria that cause germ and odor on contact. When you use this pillow, you face will feel as clean on waking up as it felt when you went to sleep. The Hygenie pillow wards off allergens, so is a good choice for allergy and asthma sufferers too. This pillowcase is made in USA. For some (including me), this is an important factor. You might want to try it if you prefer locally-made products. This foam pillow is quite firm but malleable. It provides great support to your head and neck, and helps alleviate neck pain. 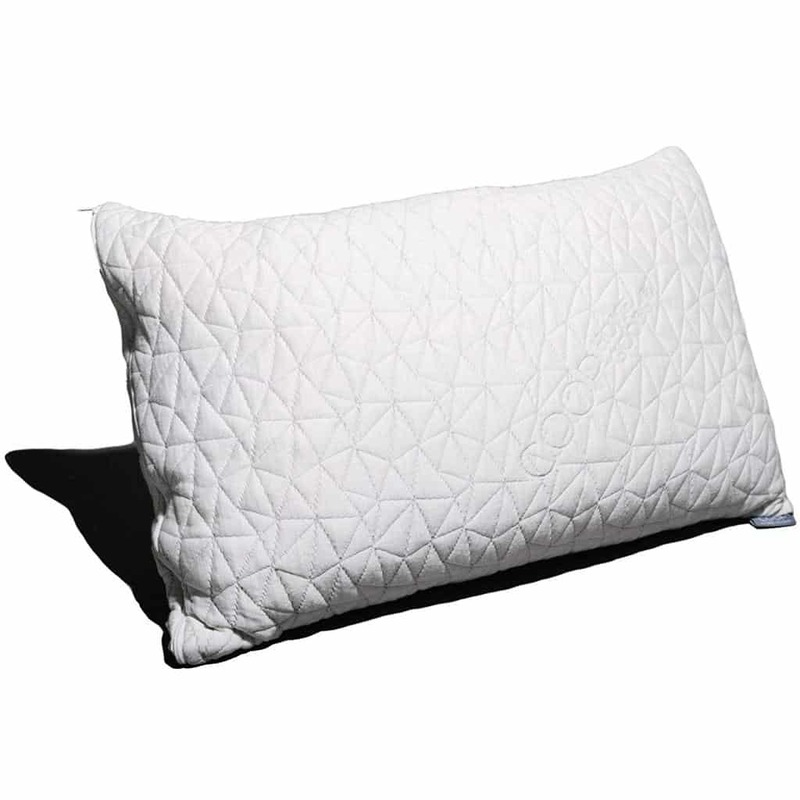 Best suited for side sleepers (though back sleepers can also use it), the Coop Home Goods pillow works best for someone who prefers firm pillows. You might not like it so much, unless you want to make the transition from a soft to firm pillow, if you have previously used soft, plushy pillows. The pillow is hypoallergenic, dust mite resistant, and washable. This is good news for those having asthma, allergies, or acne. Made in USA, the pillow uses CertiPur-US certified foam, which basically means that the no toxic materials were used in its production. Another great feature is the 5-year warranty against loss of shape. The manufacturer also offers a 30-day money-back guarantee. Its strong smell is a put-off. Try airing it out for a few days. If this doesn’t work, throw it into the machine to wash off the plastic smell. 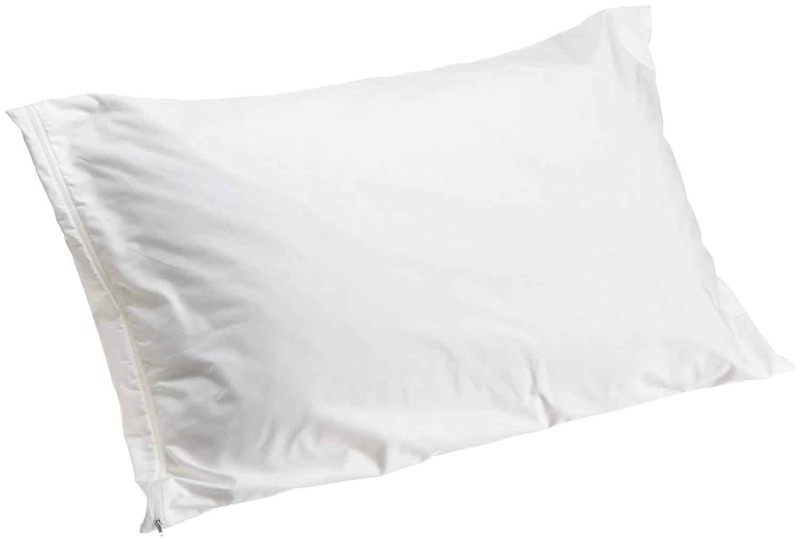 The Allersoft Pillow Encasement is soft, cozy, and comfortable. It feels really good when you lie on top of it. The pillowcase is 100% cotton, yet it keeps dust mites away. The fabric has tight weaving, which makes this possible. If you have allergies, you might want to use it. It is also recommended for people prone to acne. There is no crinkling when you use this pillow encasement, which is nice. It also features a nylon zipper which is rust proof. The pillow case is machine washable, so cleaning it is no problem at all. Those who want a comfortable pillow encasement made in USA might want to check out this product, for it is made locally. Ah, did I tell you there’s a lifetime warranty on it? Yes, there is. Another advantage is that the pillow encasement remains fresh and comfortable for a really long time. Soft, fluffy, comfortable define this pillow best. 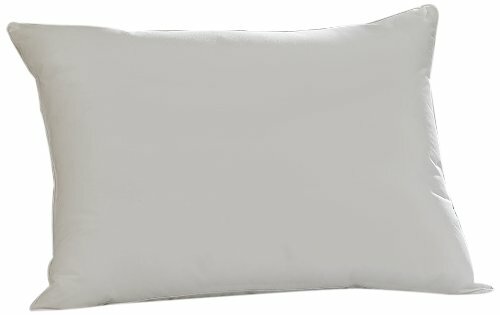 Filled with fiber fill, this pillow has a feel of a quality feather pillow. Those who like their pillows soft might not want to use any other pillow after buying this. However, you might not enjoy sleeping on it, at least for a few first nights, if you till now have used firm pillows. The fiber fill used is hypoallergenic and the fabric (which is 65% polyester and 35% cotton) is allergy proof and keeps dust mites, pet dander, allergens, and pollens away. The pillow is also hot washable. Hot water washing, in turn, effectively kills any germs and bacteria that might be present in the pillow. These four qualities make it a good choice for asthma and allergy sufferers and those having acne. The pillow holds its shape well after repeated washings. However, a warranty against loss of shape is missing. All in all, this is a decent pillow which offers good protection against acne. 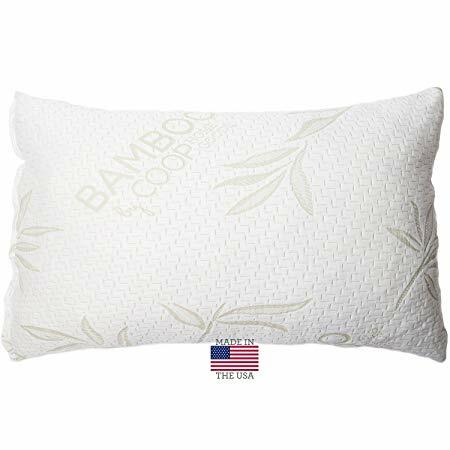 Bamboo pillowcases are comfortable and soft to touch, and this one is no different. The fabric has 220 bamboo thread count, which is pretty good (This is equivalent to 500 cotton thread count.). The Nufabrx Pillowcase has a proprietary serum containing lavender, tea tree oil, wintergreen oil, and lemon balm infused into it. It helps cleanse your skin and ameliorate present acne and prevent any new break out. However, the oils might have the opposite effect in people with a highly sensitive skin. The scent initially is overwhelming. You would have to wash it before using. After the first wash, the scent is more subtle and feels refreshing. The pillowcase is easy to maintain. Throw it into the machine any time you think it need a cleaning. The effect of the oils and the pillowcase’s scent starts decreasing after a few months. While the pillow works well for acne, its manufacturer recommends replacing it after every 4 to 6 months.